Increase purchase confidence and speed up sales. Allow customers to try rugs in their home with Augmented Reality. Retail originated in showrooms, but technology has enabled customers to buy from online marketplaces and via mobile devices. 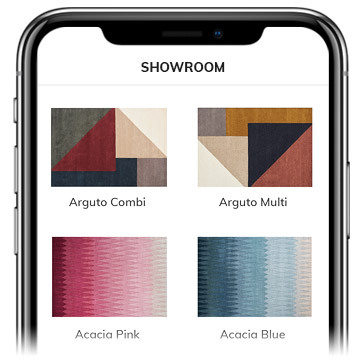 Now Augmented Reality (AR) allows customers to preview rugs in their home, increasing purchase confidence and speeding up sales. When customers find a rug they like, they still have many questions – How will this rug look in my home? Will it fit in my space? What style suits my furniture? This abundance of uncertainties results in slow/lost sales and costly returns. 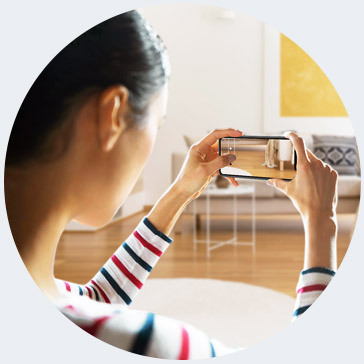 Augmented Reality solves these issues by allowing customers to preview realistic rugs in their home, increasing purchase confidence and sales. INHAABIT provides everything you need to get started with a successful AR rug solution. We build you a fully branded AR app which allows you to self-manage your rug collection. Augmented Reality is a more engaging buying process. According to Google, 34% of customers would use AR for shopping and 61% say they would prefer to shop at places that offer AR.